Billing itself as a "unique and interactive dining experience going ‘behind the scenes’ of L’Enclume’s kitchen", Aulis has just six seats, is open only on Friday evening and Saturdays, and has one menu, at Â£150. A veritable 'bucket list' chef's table experience. “Worth the journey from Brighton to Cartmel – in fact I’d go twice as far!” Simon Rogan’s “gloriously located” converted smithy “has made a sleepy Lakeland village into a foodies’ delight” and reports of “magical and extraordinary” meals (e.g. “one of the best meals I’ve ever had”) are the norm here. Even one or two who “were expecting it to be quite pretentious” are “blown away by the whole experience” – “service is good-humoured, knowledgeable, and spot-on”, while the tasting menus feature a “memorable and absolutely divine” series of small plates, featuring “fascinating combinations”, which “subtly exploit the best local ingredients”. “A mind-blowing experience!” – Simon Rogan’s converted smithy in a gorgeous Lakeland village remains the north’s pre-eminent foodie Mecca. 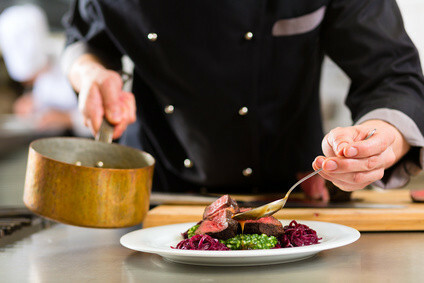 A degree of “art and theatre” add to its appeal, but despite the potential to seem “show-off-y”, the dominant theme running through most reports is the “exceptional” combination of “hard-to-beat innovation” – producing “light, clean dishes, packing huge flavours” – juxtaposed with a style that’s “natural, and not at all pretentious for a restaurant of such high calibre”. Enthusiasm too for a “delightfully simple and clean-lined setting that puts you instantly at ease, along with staff who were knowledgeable but approachable”. “Worth driving the length of the country for lunch!” – Simon Rogan’s “beautiful old building in a stunningly romantic Lake District village” is “superb all round, and it’s not hard to understand why it’s such a powerful attraction” (the survey’s third most commented-on restaurant outside of London). “Every course is a conversation starter”, and the cooking delivers “pure theatre”; “the most indulgent, understanding, fun, exciting, tasty gastronomic journey ever – 17 courses so perfectly balanced, and so packed with flavour that it left me fully satisfied yet begging for more!” The year has not been without its challenges – ex-head chef Mark Birchall’s departure is noted by the odd regular (who feels the menu is more “stagnant” as a result), but Sam Ward’s promotion from his post as maître d’ has done little to dent the “impeccable”, “almost choreographed” service, and for most guests this is “an astonishing, clever, occasionally challenging, and brilliant” experience. “At the top of UK gastronomy” (No. 3 in our Top-100 Restaurants this year); Simon Rogan’s converted smithy in a “hard-to-find” Lakeland riverside village provides an “exciting and unique” venue, “full of Cumbrian stone, Scandinavian furnishing and eye-catching art”. The “exquisite” menu is “ever-changing to reflect the seasons”; presentation is “worthy of a Turner prize”; and “no-one uses way-out ingredients to such eye-opening effect” (although nowadays “a foraging ethos now prevails, with no foams to be seen, thank goodness)!”. “Genuine” staff led by “star of a maître d’”, Sam Ward, “prove the English can do high-end service as well as the French or the Italians” (although the run-down of each dish can risk appearing as something of “a well-practiced spiel”). Stop Press – In July 2015, long-standing chef, Mark Birchall, quit to open his own restaurant. Have you eaten at L’Enclume? Reviews of L’Enclume Restaurant in LA11, Cartmel by users of Hardens.com. Also see the editors review of L’Enclume restaurant. "It was good, it was very expensive, but, when hoping to enjoy "the best" food around, I would appreciate some of the better dining conditions accoutriments. A little white starched tablecloth and knapkin would be well appreciated. If I want to eat off cheap unclothed tables of this type I can do it in the motorway cafe. Why do you think "the French" at Manchesters Midland Hotel failed? And this comment is after spending several hundreds of pounds trying out L'enclume in January." "We hadn't been to L'Enclume for just over a year, and had some concern that it might not be as good as it was in the past after all the recent hype. It was better than ever. I really couldn't fault the food, service or ambience - I just wish it was cheaper and nearer. I see it has spawned several "offshoots" now as well in Forest Side & Moor Hall." "Underwhelming and over-priced. Seems dated and lacking in atmosphere - lots of running around though." "Deserves all the plaudits it ha s received. Immaculate"
Post your own review of L’Enclume and contribute to our annual restaurant review guide.